Having instilled the confidence from day one for me to go on and feature pretty much everything they've released since, Vitamin's debut visit to Cardiff was always going to be an excitable one - one which far from disappointed. Despite having only launched their career back in '14 the Leeds-based quartet have refined their sound immensely as their maturing performance abilities really begin to shine through. With a string of single's and a debut EP now under their belts, the band have already picked up a substantial local following which now looks to be making its way down south as they weaved their way through the populated crowd to take their place on stage. As limbs quickly began to loosen, the band's jangly concoction of upbeat melodies and rhythmic shifts readily transitioned across the bobbing heads and waving hands as the energy built. With an undeniable hint of 80's influence and charisma, Vitamin sure know a thing or two about creating a tight groove in their sound, perfectly poised with elongated tempo shifting guitars and brooding vocals. From To Believe's jubilant melodies culminating in to a blissed out euphoria to Giving It Up's skittering percussion and sickly sweet synth lines, the Welsh crowd lap it up eager for more showing their gratitude through gracious applause. Whilst their set's short it's with no doubt made a lasting impression on fans as they quickly ran over to the merch stand to meet the band who are only happy to oblige. It's no mean feat to say this evening's performance was nothing but elevated pop perfection of the finest kind. 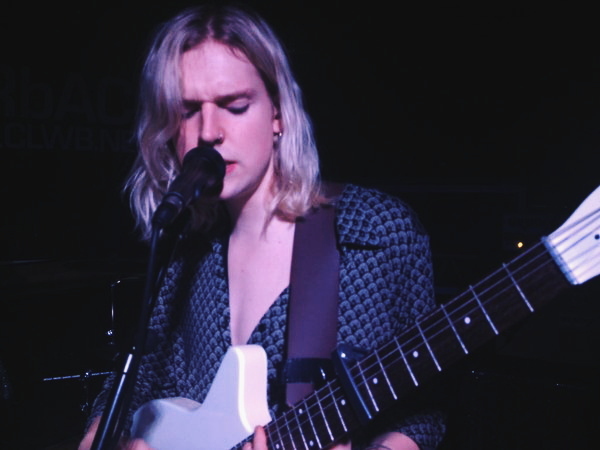 As downstairs began to fill up considerably, it wasn't long before Sundara Karma took to the stage. Opening with the very first track I ever heard by them, Freshbloom's vibrant and buoyant melodies were more than enough to instantaneously get the audience jumping around. Having been almost 3 years since I last saw them support Swim Deep on tour, it's nice to have familiarised myself with their songs. With a knack for infectious melodies and pounding basslines the group's material transcends far beyond the reaches of their hometown of Reading as their soaring melodies and sky-high vocals reach for the stars. Quickly brought back to earth with the rattling percussion of Flame, the track's captivating vocal chants and slick songwriting only emphasises the grittiness in their sunshine glazed pop. 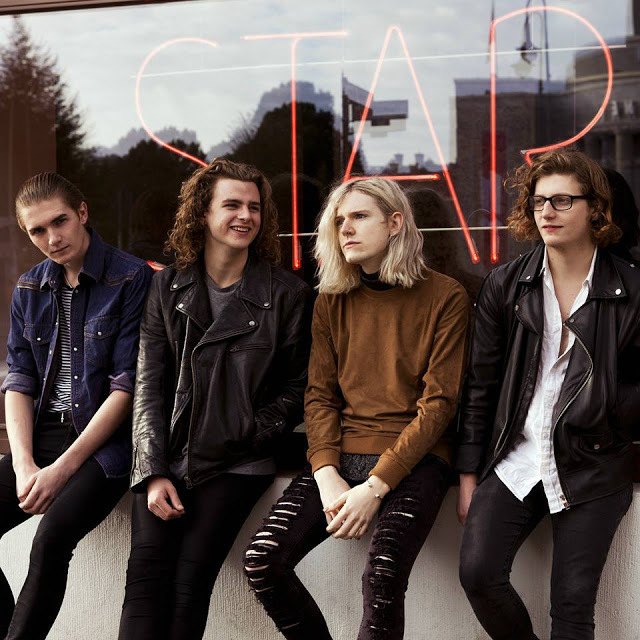 Fresh from supporting Circa Waves and The Wombats on their recent tours, the band's first headline show in the capital was a confident affair, filled with flamboyancy and self-assured positivity. All this seductively displayed as front-man Oscar LuLu draped in to the crowd engulfed by adorning fans. With a brief pause to catch their breath the crowd's immediately thrown headfirst in to their recent new single Run Away. Having already accustomed to its fiery melodies and face-melting crescendo, nothing really prepared for its live version as everything stepped up a gear through its anthemic choruses and piercingly sharp guitar notes. From their opening vocal cries, right through to set closer Loveblood, not once did the high energy inside falter. Hesitancy is a word that ceases to exist amongst their vocab and who are we to complain as they bow out on a shimmering whirlwind climax of swirling guitars and thrashing percussion. If there's one thing that's a dead-cert, this band make hands down some of the most contagious music I know.